Accelerates the defrosting process. It penetrates the cracks of the ice and dissolves them from within. It penetrates the cracks of the ice and dissolves them from within. Code: DI333. Packaging: 500 ml Bottle with sprayer. 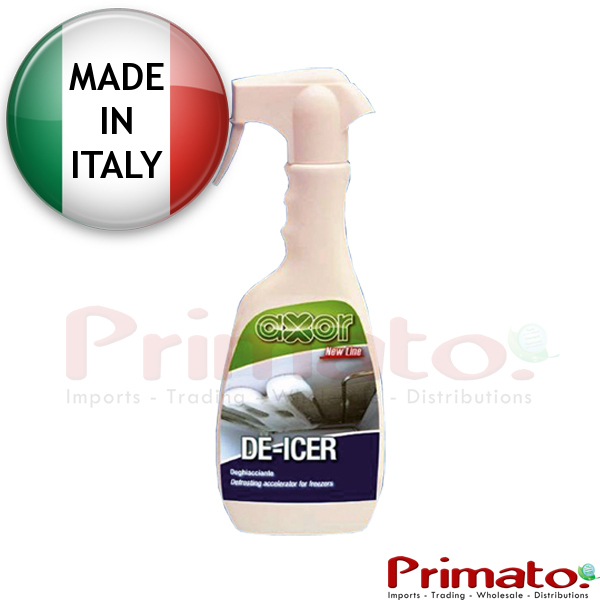 Spray the product on the ice walls in your freezer. Let it act for 10 minutes before breaking the ice. If the ice is thick enough, spray another product and let it act for 20 minutes. Then break the ice with a spatula or whatever else suits you.